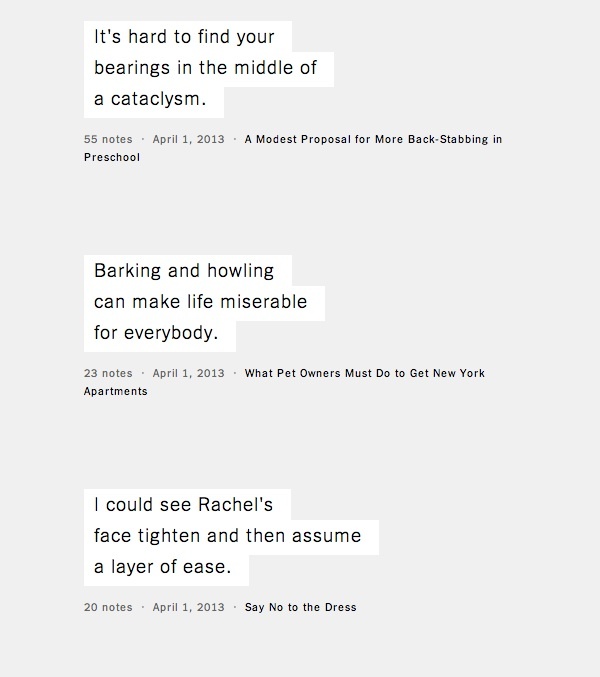 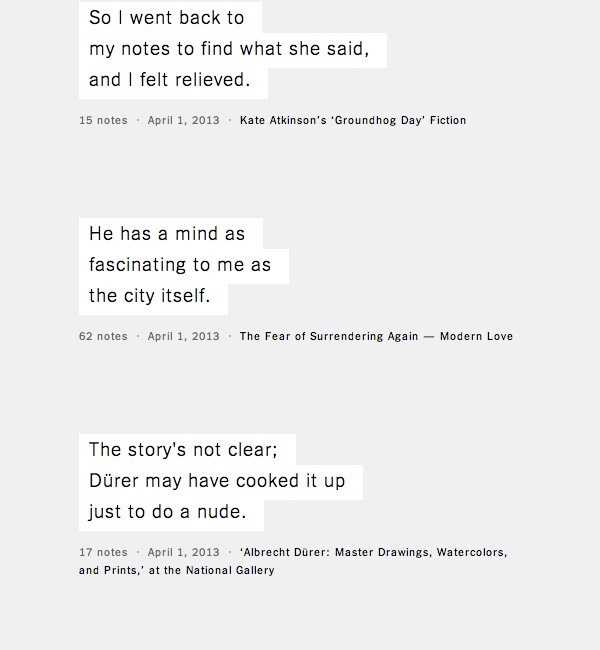 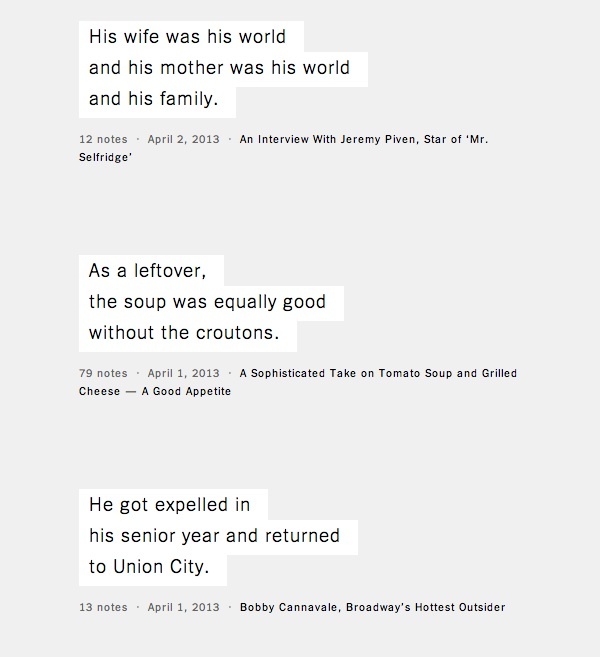 Senior software architect at The New York Times, Jacob Harris, built a ‘Haiku Bot’ that scans through newly published articles in The New York Times for haikus. 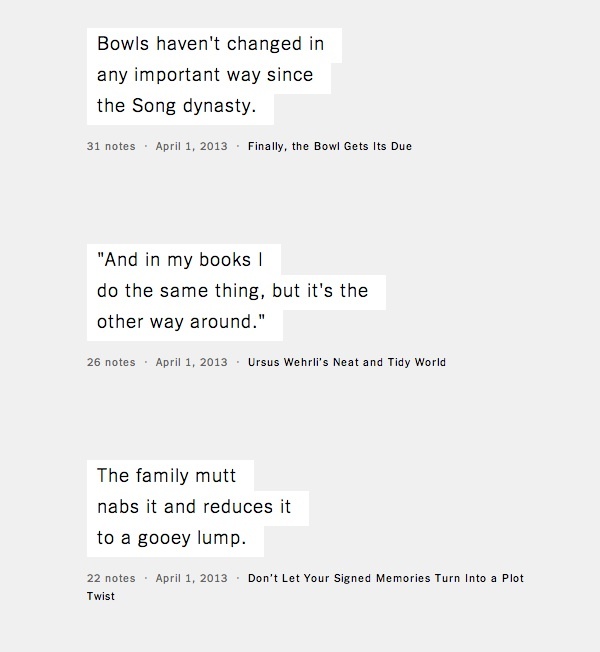 Published in the Tumblr Haiku.NyTimes.com, the five-seven-five syllabled found gems are short snippets of articles—and though they’re out of context, they provide an entertaining and whimsical point of view. 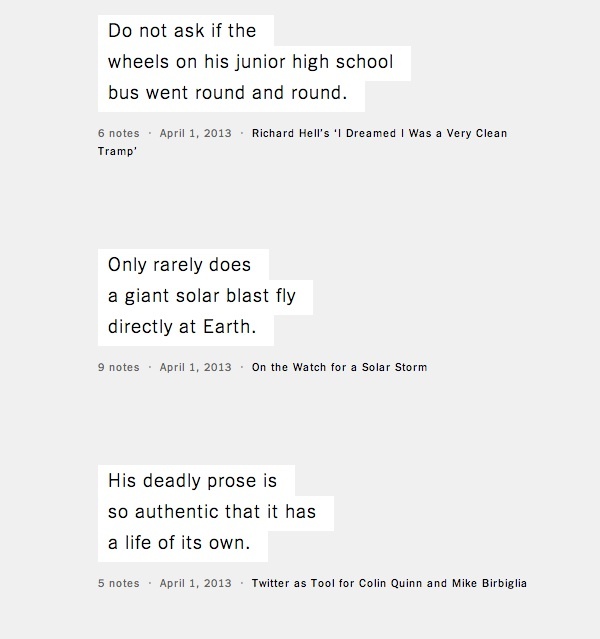 The Haiku Bot was created for April Fool’s Day, and also National Poetry Month.